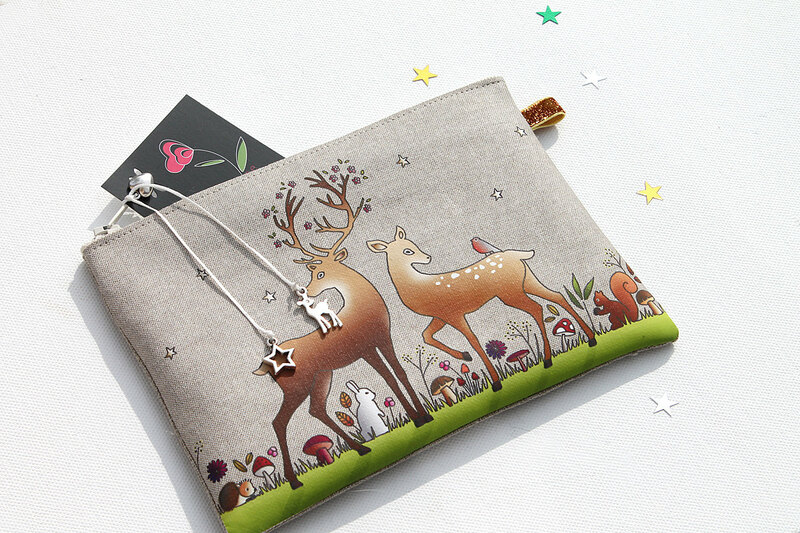 Pocket linen illustrated "the enchanted forest"
The illustration depicts a stag and a DOE in a flowery meadow where you can also see mushrooms, a hedgehog, a small white rabbit and a squirrel. Back in natural linen. 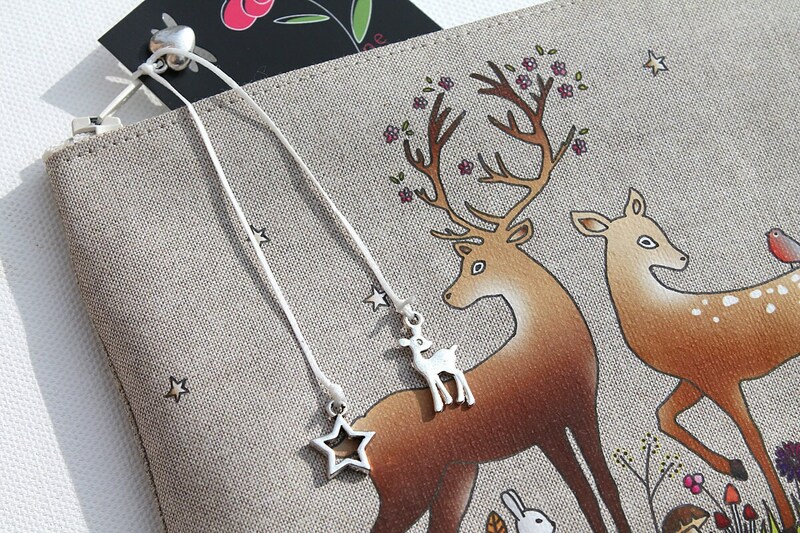 Zipper and small jewelry bag to finish (little heart, DOE and star in aged silver metal). Merci beaucoup les trois articles sont ravissants et prêts à offrir ! Belles finitions, pratique et conforme à la description. 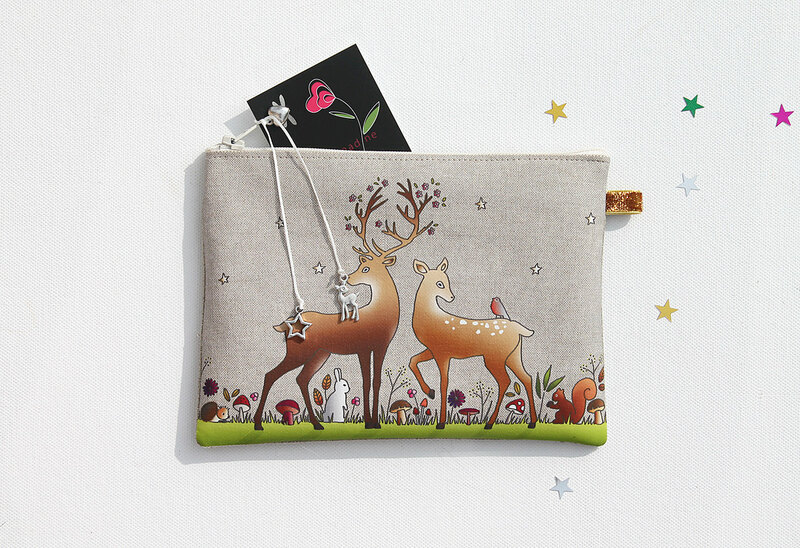 Un joli paquet et une livraison rapide, parfait!